​The 2016 European Championship was a resounding success, and preparations for Euro 2020 moved a step forward as the qualifying groups were drawn on Sunday. England, drawn in Group A, must now ready themselves for the likes of the Czech Republic and Bulgaria. 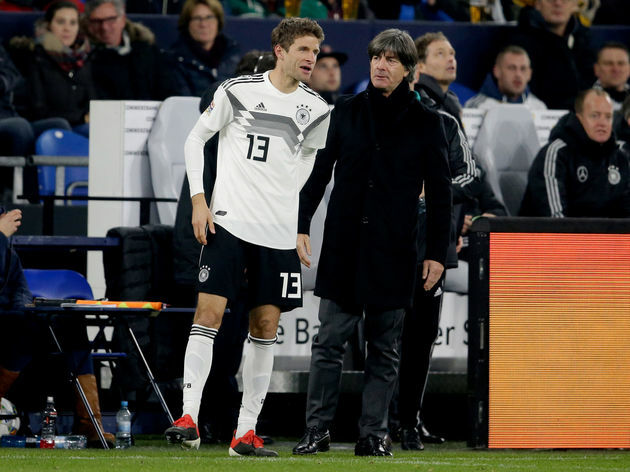 Germany, who were in Pot 2 as a result of their UEFA Nations League relegation, will be competing against the likes of The Netherlands and Northern Ireland for qualification. Italy find themselves doing battle with Bosnia and Herzegovina, whilst Spain will be keen to overcome Sweden and Norway. The 55 competing nations were divided into ten groups, with half of the groups containing five teams and the other half containing six. The four Nations League semi-finalists – Switzerland, Portugal, Netherlands and England – were all guaranteed to be in a five-team group. The top two teams in each group will qualify for the finals, whilst there is also four play-off spots which are available through the Nations League play-offs. Reigning champions Portugal will do battle with Ukraine, Serbia, Lithuania and Luxembourg as they seek to retain their title. Led by talisman ​Cristiano Ronaldo, they will be be keen to replicate their previous success. World Cup winners France, featuring the likes of ​Paul Pogba and ​Kylian Mbappe, will face Iceland, Turkey, as they look to further assert their global dominance. The first round of matches will take place between 21-23 March 2019, and the qualifying stage will conclude in November. The four Nations League finalists will not be in action on either matchday two or three, as they will be competing in the finals of that tournament in June. The tournament will be held across 12 different countries, with England’s Wembley Stadium hosting both of the semi-finals and the final.